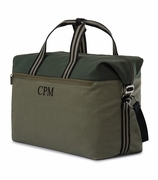 Monogram Man's Toiletry Bag. This traditional man's toiletry bag should be a staple for all guys. Great for vacation travel, business trips or daily visits to the gym. Quality construction in a soft cotton canvas stone washed grey material. Several compartments, two open pockets, small zip wall pocket, perfect for a shaver. Contrasting faux leather piping around the edges. Medium gray with dark brown faux leather piping and zipper pull. Zip closure. Quality present for groomsman gift, father's day, retirement or milestone birthday. 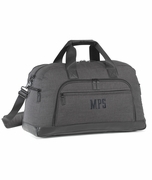 Personalized men's toiletry bag measures 11"W x 6"H x4.5" across bottom. I bought this as a gift personalized for my teenage son. It is attractive and well made. Roomy without being bulky. 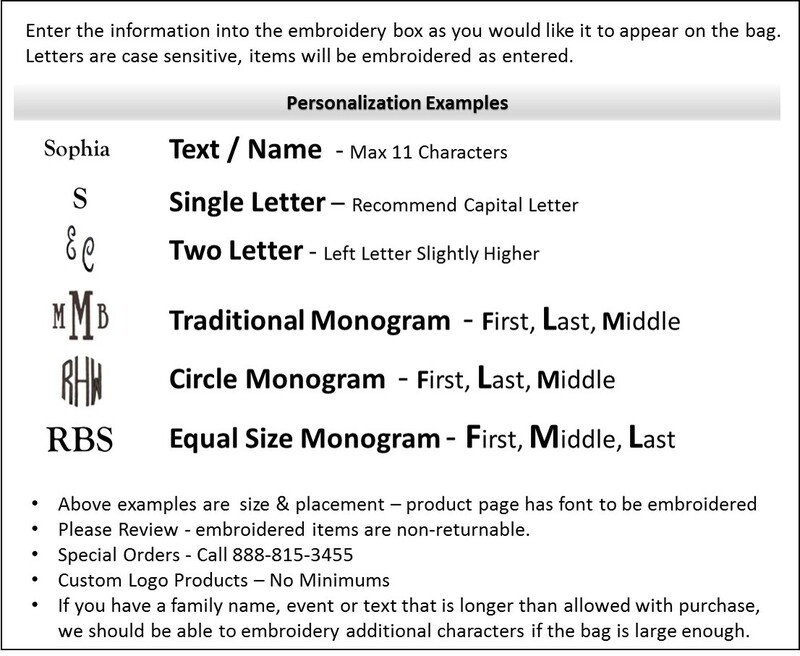 The monogram is done well, and the shipping was very quick.